Smartphone manufacturer Xiaomi has launched a new e-cycle in China. The pedal-assisted cycle gets a detachable lithium-ion battery and a range of 80km. Gets LED headlamp and tail lamp, LED instrument console and a seat post that doubles up as an air pump. 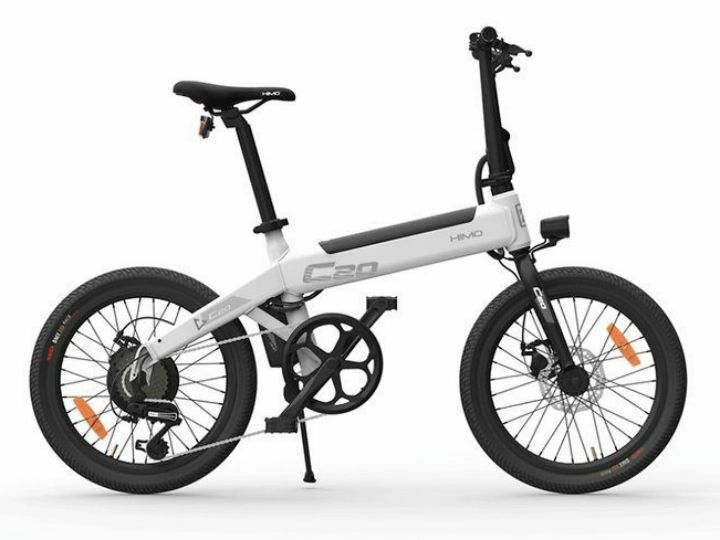 The Himo C20 e-Bike has been launched in China but can be bought through Xiaomi’s online marketplace. Chinese smartphone manufacturer Xiaomi is known for making value-for-money electronic goods. Now, it has launched a new pedal assisted electric bicycle called the Himo C20 in China. Priced at $375 (around Rs 26,000), the e-cycle promises to offer a lot of value just like the company’s smartphones. So let’s take a closer look at it, shall we? The Himo C20 comes with an LED headlamp and LED tail lamp, both of which are usually offered as optional accessories on other electric bicycles. It also gets a nifty LED instrument console that displays speed, kilometres covered, battery charge level and pedal assist levels. Innovation comes in the form of a seat post that doubles up as an air pump. Powering the bike is a 36V 10Ah lithium-ion battery pack that weighs 2.5kg and holds 360Wh of charge. It is a removable unit, so you can take it off the bike to charge it at home or your office. The battery locks into place via a key for added security. With this battery, the Himo C20 can cover upto 80km on a single charge with pedal assist. Charge time is upto six hours, which is quite disappointing given the small size of the battery. Propulsion comes in the form of a hub mounted 250Watt DC brushless motor that can get the Himo C20 to speeds of upto 25kmph on pure electric power. There are three levels of pedal assist as well as a 6-speed Shimano gear shift mechanism. The frame gets foldable handlebars and a detachable seat post for easy stowability. At 20-inch, the wheels are standard BMX sizes, but usual road bikes have wheels of 26.5 and 29 inches. The tyres, however, are high profile units, which should provide a good cushioning effect on broken patches. It gets mechanical disc brakes at both ends with a combined braking system. Overall, the e-Bike weighs 21kg, which is on par with most e-Bikes in the market. While Xiaomi is currently selling the Himo C20 in China only, it is available in most countries via the company’s e-commerce marketplace. If you are looking to buy an electric assist bicycle here in India, you could consider the Tronx One and Hero EZephyr. We have ridden both bicycles, so you can check out the review of the Tronx One here and the Hero EZephyr here.